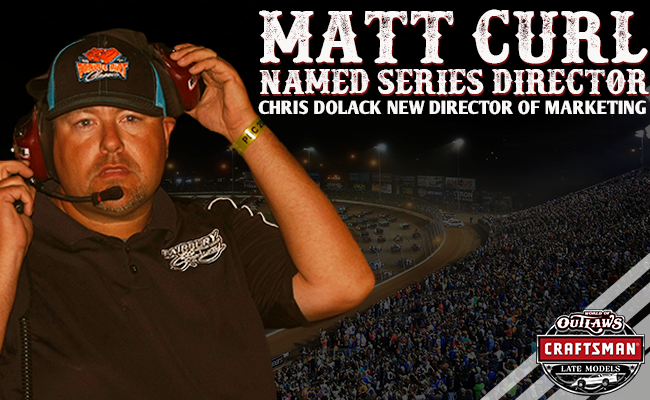 CONCORD, NC — The World of Outlaws Craftsman Late Model Series is excited to welcome one of dirt Late Model racing’s most prominent proponents, Matt Curl, as Series Director; while Chris Dolack, who stepped in as Series Director in the Spring of 2017, has been named Director of Marketing for the World of Outlaws and DIRTcar Racing, focusing on event promotion. Curl, born and raised in Fairbury, Illinois, made his name as a successful track promotor of the Fairbury American Legion Speedway (FALS), where he played an instrumental role in turning the speedway into one of the most renowned tracks in the country, breathing new life into the World of Outlaws-sanctioned Prairie Dirt Classic, which has since won DirtonDirt’s Race of the Year award for three out of the last four years. 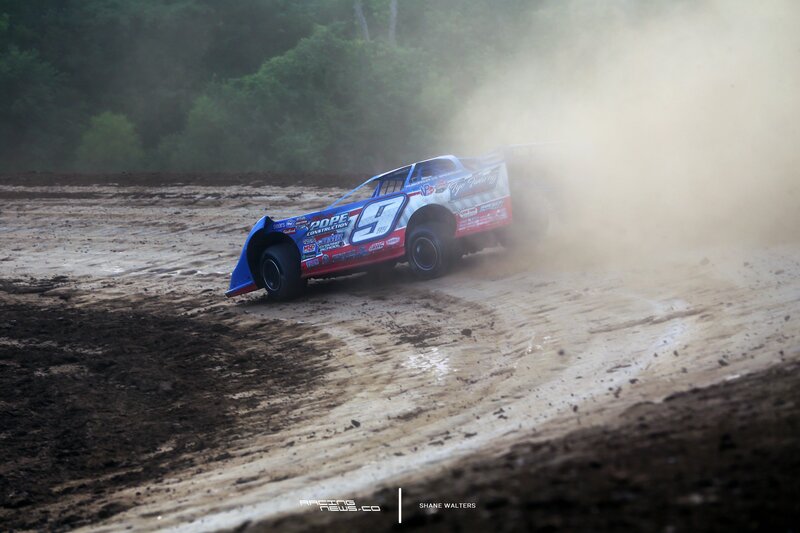 Having achieved such success as a premier track promoter at a premier track with premier events, Curl now steps into a leading role with the premier dirt Late Model series. Having stayed close to his roots in Central Illinois, where every Saturday was spent at the racetrack, Curl has seen every facet of the racing industry, including serving as an official, driving a tow-truck, flagging, directing competition, and more recently as track promoter and director of race operations. Throughout his tenure he has earned the respect of the drivers and the industry at large, positioning him to lead the Series into an unprecedented season. Having ties to dirt racing as far as 20 years back, and having worked with the World of Outlaws and DIRTcar Racing in several different capacities now, Dolack understands the business inside and out, and his media background gives him great insight into running a successful marketing campaign. Curl joins the Series immediately and maintains his primary residence, with his wife Jayme and 4-year-old daughter Jesslyn, in Fairbury, where he will continue to serve his hometrack in an advisory capacity. Curl is confident that this same kind of shared vision with his new team will ensure continued success. “It’s one big family here with the World of Outlaws and DIRTcar and everything, and I like that. To be a part of that is an honor,” he said. Where does Brandon Shappard want his career to go?